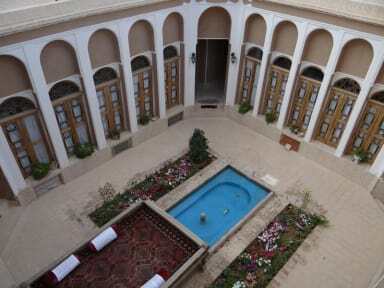 Sunny Land Guesthouse was built in Qajar era, more than 150 years ago, in the historical neighborhood of Yazd. It is 300 square meter and it was refurbished from March 2017 to March 2018. It has hosted travelers from the first day of the current solar year. I spend time with my guests and as I live in the house I am available all the time during their stay. My major is environmental studies and I am also a tour leader and I hold nature tours and mountain hiking tours for my guests. I believe travelers should feel at home here and I do my best have the atmosphere very friendly. Every room is cooled with air conditioner, and in winter the central radiator is on, you can turn down or up the temperature in your room or ask me to do it for you. Every room has refrigerator except for the single room. All rooms have their own toilet and bathroom, some of them en suite and some of them just outside the room. To maintain the traditional atmosphere of the house we have no television but wifi is free and accessible everywhere in the house. Cancellation policy: 2days before arrival by 6pm. Non smoking. 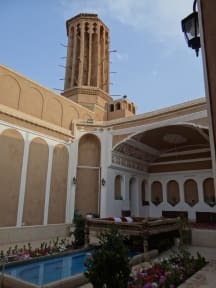 Smoking is allowed outdoors and traditional Shisha (Gheyloon) is available for guests.